Ciao people! Have been loving reading all of your great feedback on yesterday’s post. So glad to see each time that so many of you actually do read the posts, it makes me so happy. I’ve been watching lately so many fashion documentaries, interviews, movies and have been feeling so tremendously inspired. New questions keep popping in my head as much as new ideas. My vision of style is forever evolving and keeping a curious mind and heart are at the very root of this creative pursuit. I can’t believe it is already November and thus, almost the end of the year. Although we’re not there yet, I have to say, I’m still pinching myself looking back at everything that has happened… Truly so much. This year’s recap is going to be ma-jor guys. And there’s still quite a lot to come before properly wrapping it up. So watch out. I am currently in London as I was invited to attend for the very first time the British Fashion Awards. It was such an honor as I heard so many of my biggest icons speak and share some of their wisdom. Each word they said just completely filled up the room and resonated in all of us. It was truly, deeply, magical. Prior to that, Cibelle and I have spend a few absolutely extraordinary days in Rome with one of my favorite high jewelry brands. Can you guess? Yes, we are talking about Bvlgari. 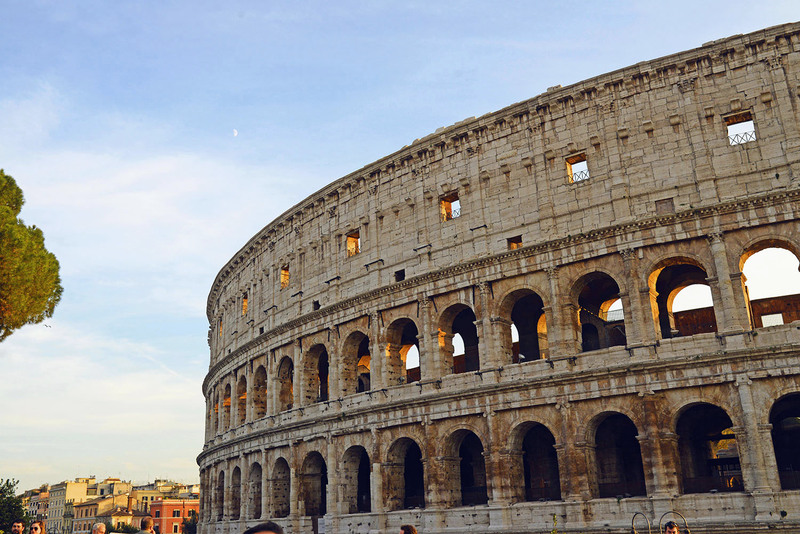 Just think about it, Rome, the extravaganza, the colors, the monuments, the architecture, the food, the people! Oh Italy. Sweet, sweet Italy… What a heaven on earth. It’s been more than a year since I’ve last been in the city of Roman history and Jules Cesar… Needless to say, it was just as breathtaking as it was in my memories. The reason why we were in town was to explore the very DNA of Bvlgari and witness through our own eyes how much the city has been the major, if not the ultimate influence for each and every one of their collections. We were taken on a journey by their team throughout the city, stopping at 5 key places in order to breath in the Roman magic and spot the architectural references in the jewelry itself. The Spanish steps, the baths of Caracalla, the Colosseum, Piazza Navona and finally the Borghese Gallery. It’s been so interesting to listen to all these enchanting stories and feel this rich world embody us as we were walking though these iconic streets. Love the photos & the pieces are so gorgeous. I also love the clothes in the photo of you on the steps. You look so cosy! So in love with your photos! You´re such a great inspiration! Hello Kristina, can you please share in kayture where do you watch fashion documentaries, interviews and movies? Such beautiful images <3 and those jewelry is divine. I love the royal blue color palette! Oh my, those are some amazing jewels. Loveee them. And your outfit is gorgeous as always. Coat is to die for. Perfect item for fall / winter. Hey Kristina! Bvlgari jewels are beyond beautiful, you're such a lucky girl to get to wear them. I'm sure you enjoy the gorgeous jewelry to the fullest! Rome is easily one of my favorite cities. I quite often vacation in Capri, and often then take a flight from Helsinki to Rome then. In Rome, beauty is everywhere. Quite an inspirational city, especially for a blogger, don't you think? Those pictures are Sooo beautiful! As a history of Art Student i Fell in love With this City immediately ❤ Want to go back soon! Fabulous photos and an incredible product placement! The blue necklace is amazing.Thank you for sharing. These Bulgari jewels are exquisite! Lovely post and beautiful photography. The pieces look amazing and the city complements you with its magical atmosphere. Can't wait to go there for New Year's Eve! Gorgeous pictures! Absolutely love every jewellery piece you wore - the first watch is simply breathtaking! You picked some stunning Bvlgari jewels for your shoot. I always have a look in their windows as I walk by...a girl can dream right? Adore the colour of your coat too. Rome is one of my favourite cities, I'm also excited that you got to attend the British Fashion Awards!!!! I always read what you have written as it's like being a part of your journey. amazing Roma! love your outfit!!! bonjour Kristina ! en lisant ton texte toujours aussi riche , précis ; furetant dans tous les coins chez Bulgari bijoux ,je ne m'attendez pas à ces grands moments d'émotions en visitant Rome en votre compagnie et les prises de vues par Cibellelevi ! je suis très heureux et ému de ces instants avec vous !!! !bravo Kristina ,Cibelle et merci à Bulgari bijoux !!! je suis vraiment ému ,transporté par toute cette beauté !!! !kristina et Cibelle vous méritez un baiser ........!!!!! je reviendrai .....!!!! How can you always be so perfect? The outfit is amazing, bulgari's jewels are gorgeous, the text is very interesting and well written and some of the pictures are gorgeous, your really are amazing! www.EllenVicius.com/bags. This jewelry collection from Bvlgari is absolutely stunning and extraordinary. Definitely agree that they easy to recognize as the style is truly one of its kind! You look lovely as always, thanks for sharing. Beautiful pieces! Love your colour combination! these jewels are to die for! It must be amazing to be invited by brands to discover what inspiration lies 'behind' their collections, especially when that inspiration is Rome! I studied Latin in highschool so it is an extra fascinating city for me, as it reminds me of all the great stories and poems we read and the culture we learned about. Thanks for sharing those pictures Kristina, so we can have a glimpse of the experience as well ! Those pieces are so beautiful, thank you for sharing! So magical Kristina! Rome is enchanting and you look amazing as always. I lived in Rome for a few years and I miss the magic of the city a lot. Loving all of these Bvlgari pieces :D So glad to hear that you had fun in Rome! And the BFAs! Such a dream come true! <3 Congratulations on all of these major milestones, Kristina! Can't wait to read even more about them in your major year end recap! Keep up the great work! Always looking forward to more posts from you! The "Serpenti" watch is one of the very few watches for woman that I would be willing to wear! So carismatic and one of a kind.... I love it! My gosh this jewellery is amazing! You have accomplished so much this year, well done. Roma es tan hermoso!! !, y tu preciosa!, amé ese abrigo <3 . I'd die for one of Bulgari's pieces! Specially the serpente watch... I'm so jealous!!! Check out all about Korean Beauty - The trend, the products, the etailers - and if it really represents a threat to western brands like Estée Lauder. I love the picture near the Colosseum! It sums up your words about Italy and how sweet this country is for you. Rome is so enchanting... I am glad you got this amazing opportunity! I love those shoots! Your blog is amazing! Sounds like a magical trip -- glad that you got to experience it :) Thank you for sharing the inspiration and influences behind Bvlgari jewelry. Gorgeous photos as always! The photography in you blog is so beautiful! Kristinaaaaaa!!!! I'm so happy you came and visit Rome as it's one of my favourite cities, full of mistery, art and joyful people!!! I hope you had a good time there, but of course you had!!! Can't wait to read your following articles as they're pretty inspiring for me!!! Rome ... my city I love ... and Bulgari jewels are unique and wonderful !! You are so gorgeous! Love the jewerelly! quelles merveilles dans leur maison bulgari roma ! Rome , ville féérrique ! bravo kristina et Cibelle pour ces découvertes !! !nous irons un jour dans cette ville et peut être nous nous retrouverons devant ces mille feux à Bvlgari Roma !!!!!! !à bientôt !!!!! Take a look for my blog. Bvlgari is magical! Their jewelry is beyond beautiful. I would love to have one of their necklaces. Beautiful photos Kristina! Love them all! This jewelry is stunning! I love how you showcased each piece, so lovely! Amazing Kristina as always... Your coat is amazing and jewels look wonderful on you!kisses from Greece! I would like to have it all! Bvlgari is one of my favourite brands love the collection you were wearing stunning. Yes, i really get inspired by following your social media presence. 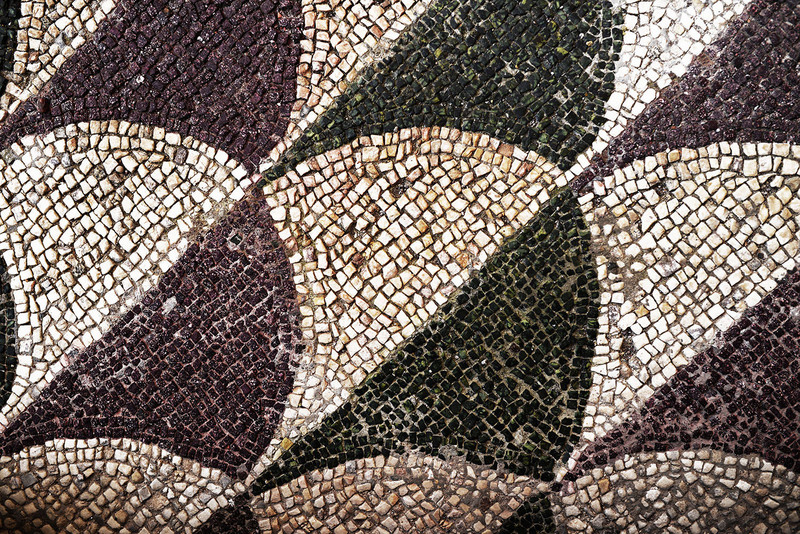 your experience of exploring the very DNA of Bvlgari and witness the roman city makes the event more natural. Keep it up. I love Rome! I was there quite recently and was taken away by just how stunning it is! The jewellery looks amazing, of course! The Bvlgari Jewelry looks amazing and kind of mystical like you said! I love the blue colors. Royal blue, making the Jewelry look very royal! These pieces are just amazing! Stunning pictures! The jewellery is so beautiful and you look gorgeous. Absolutely stunning pieces! Rome is one of my favorite cities, and I love how you pair them with street style brands like H&M and Topshop. Thanks for sharing! What a wonderful outfit, love it!!! Love the pics, and that jewelry looks stunning! J'adore ce manteau un peu large, un peu masculin, la couleur, ça va avec tout ou presque. WOW! What a beautiful pictures! so magical! and these pieces! so cool! thanks for sharing this with us! http://www.custombobbleheads2u.com/ Cheap Custom Bobbleheads Online Store. Just wanted to say that your beauty is unique. Beautiful pictures. I have just got to know about your blog. 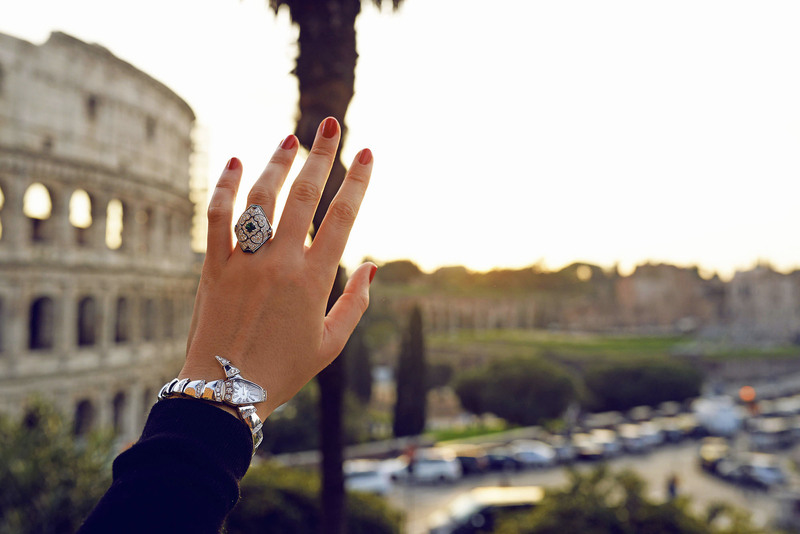 Love Bvlgari & Italy, so double love for this blog post! http://www.thrillofthechaise.com/ Replica Watches Online Store,Sale Swiss Replica Watches Cheap,More Low Price For You.